Office building The Base is a successful redevelopment of the former Triport 1,2 and 3 buildings owned by Schiphol Real Estate. The building is central situated between the World Trade Center, the Hilton Hotel, office building The Outlook and HQ of Schiphol Group. With a brand new entrance, a spectacular atrium, a passage and a variety of hospitality, The Base is an ideal working and meeting place for INDUSTRIAL real estate partners. The office can be easily reached, directly situated along Highway A4 with a direct exit Schiphol Airport. Parking facilities are situated in the parking garage underneath the building. 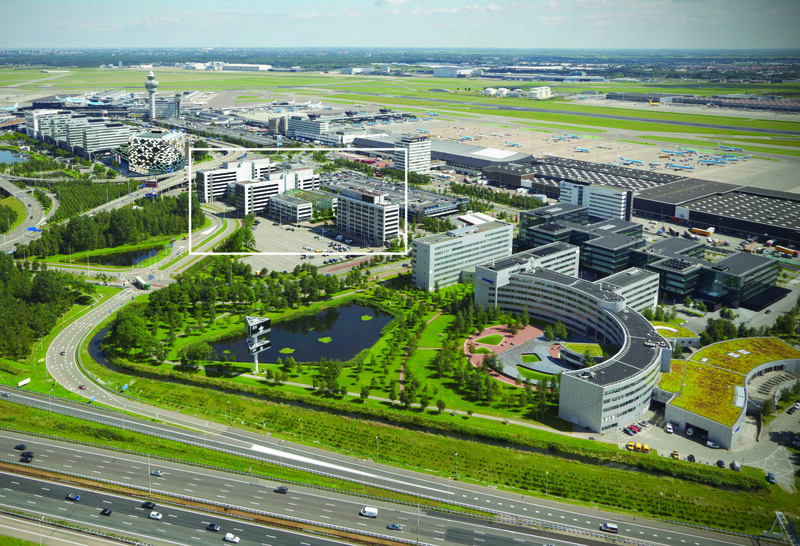 INDUSTRIAL real estate partners also has offices in Rotterdam and Tilburg. You are more than welcome for a cup of coffee in our new office!